How badly do Thomas Mulcair and Justin Trudeau want to be prime minister? And how badly do they want to see Stephen Harper out of office? With the federal election looming, these thoughts tap on the window and force us to look ahead, into the light. Through squinted eyes and a hand raised to block the light, a potential answer emerges: coalition. During a speech on March 17 in Montreal, Thomas Mulcair reiterated an openness to the idea. He also told reporters that he cares about seeing Stephen Harper out of power, but that Trudeau only cares about Trudeau. While this statement seems less than gracious to a potential partner, Trudeau responded with an outright rejection. For the uninitiated, coalition is the idea that multiple political parties can combine to rule as one. If the NDP and Liberals agreed to govern together, they could finally oust the Conservatives. In their 10-year reign, the Conservatives have only been able to form a majority government once, so they are not invincible. Given the partisanship of our politics, a coalition might be a welcome antidote, a chance to revisit a founding principle of cooperation, but unfortunately, it doesn’t address a deeper issue. Our current form of governance is ineffective, and poorly reflects the desires of most Canadians, which stems from our first-past-the-post system. Almost 75 per cent of Canadians are potentially disenfranchised by ignoring their vote (in a four-candidate riding, theoretically the winning candidate only needs a minimum of 25.1 per cent of the popular vote to win election). Consider this: 37.65 per cent of all Canadians in 2008 and 39.62 per cent of Canadians in 2011 actually cast a Conservative ballot, yet the Conservatives were still able to form a minority and a majority government (respectively) following these elections. While a coalition government would represent the views of more Canadians, it would not combat the foundational issues of voter disenfranchisement, and subsequently, voter apathy. Replacing one dressing for another does nothing to heal the wound. 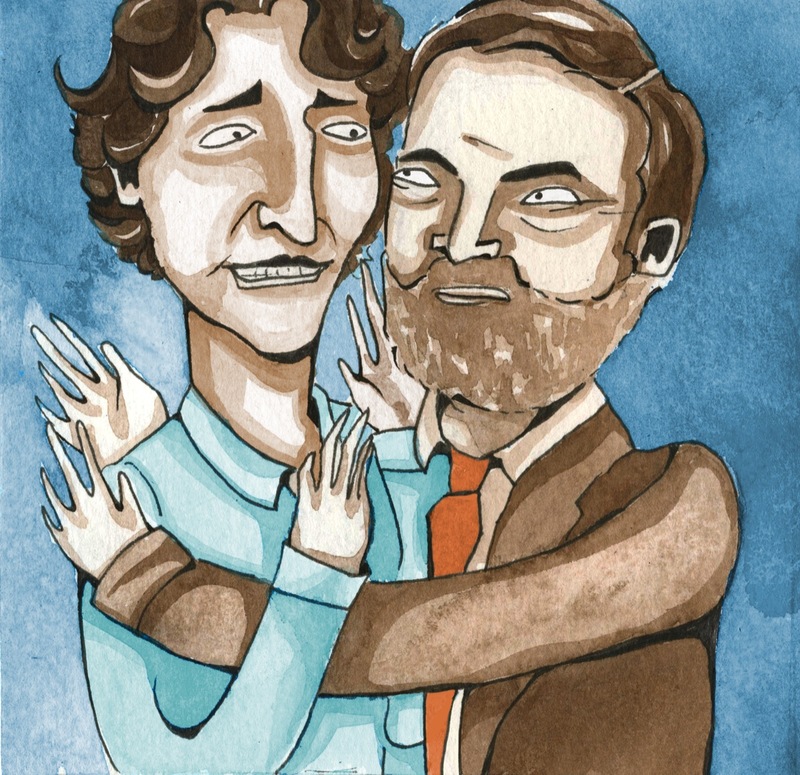 Without proper electoral reform, Canadians can expect temporary, reactive fixes to tough issues from future candidates, and the current attitudes towards coalition professed by both Mulcair and Trudeau highlight just how temporary and reactive an NDP/Liberal coalition might be. Furthermore, their attitudes also highlight what they think is the only issue in Canadian politics: Harper as leader. If these attitudes pervade policy makers, any coalition would not be about returning to a foundational principle of cooperation, or about resolving the issues facing Canadian democracy. Instead, it betrays a general, myopic concern about who is actually running the show.